A Tampa dad who has been deployed with the U.S. Air Force surprised his daughter at her Pre-K class on Tuesday and it just might make you cry. 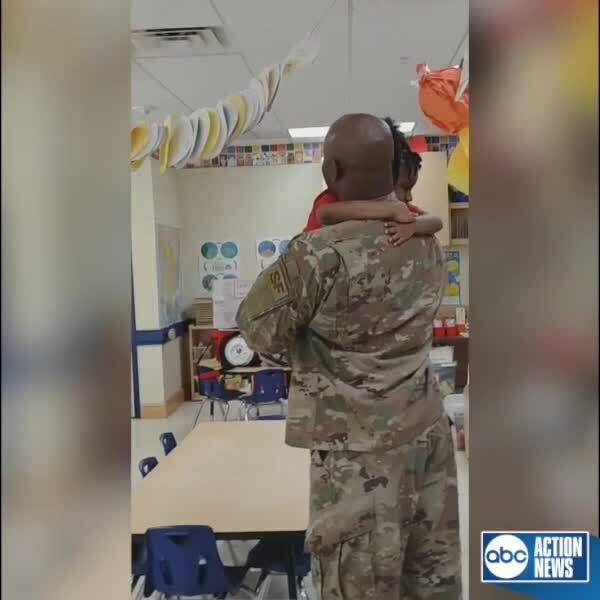 TAMPA, Fla. — A Tampa dad who has been deployed with the U.S. Air Force surprised his daughter at her Pre-K class on Tuesday and it just might make you cry. Talia, 4, had no idea her dad was coming home until he showed up at her class at the Primrose School of South Tampa. She just couldn't contain her excitement when she ran to him and we can't get enough.